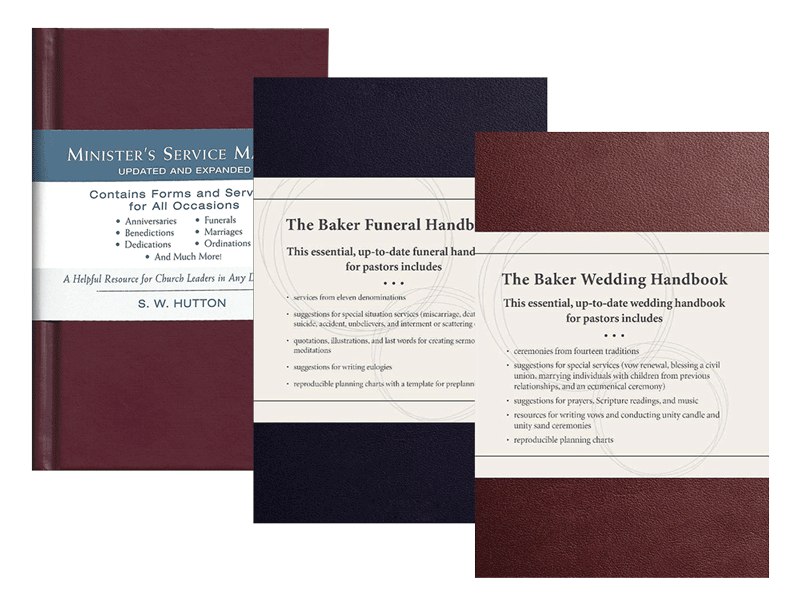 Baker's Pastoral Handbooks are perfect for newly ordained Christian ministers to learn how to preach and perform ceremonies and other services. This series is the gold standard of how-to guides with over 100,000 sold worldwide. These include detailed descriptions for performing weddings, funerals, baptisms, benedictions, dedications, anniversaries, ordinations, and much more. This is a wonderful resource for church leaders and lay ministers of any denomination. Though these 3 volumes are available individually from our store, purchasing this bundle will save you money and provide the most comprehensive set of information available from this trusted publisher.